- CZW The War Begins (November 20, '99) = The Haas Brothers (Russ & Charlie) fell to the Kingpinz. - CZW Bloodbath (January 8, '00) = The Haas Brothers defeated Big Mack Smash & Wifebeater. - CZW Climbing The Ladder (February 12, '00) = The Haas Brothers won the CZW Tag-Team Titles, winning a "Triple Threat" Match over the Kashmirenos and the Thrill Kill Kult. - CZW March Violence (March 11, '00) = The Haas Brothers retained the CZW Tag Titles, beating the Shane Twins. - CZW Xspelled (March 18, '00) = The Haas Brothers stayed the CZW Tag Champs, taking down the Bad Crew. - CZW Controversy 101 (April 1, '00) = The Haas Brothers kept the CZW Tag-Team Straps, winning over Trent Acid & Ty Street. - CZW Winner Takes All (April 8, '00) = The Haas Brothers, as the CZW Tag-Team Champions, fought to a No-Contest with the Shane Twins. - CZW A Living Hell (May 6, '00) = The Haas Brothers, as the CZW Tag Champs, fought to a No-Contest with Justice Pain & Kronus. - CZW Caged To The End (June 10, '00) = Russ, representing the Haas Brothers, lost the CZW Tag-Team Titles to Johnny Kashmere (representing the Backseat Boyz). 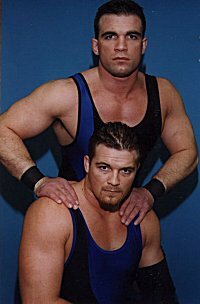 - 4th Annual Brian Pillman Memorial Show (August 9, '01) = The Haas Brothers (Russ & Charlie) defeated Steve Bradley & Rico Constantino. - HWA Cincinnati Show (August 14, '01) = The Haas Brothers won over the Jablonskis. - HWA Cincinnati Show (August 21, '01) = The Haas Brothers fell to Jason Jett & Lash LeRoux. - HWA Batavia Show (August 25, '01) = The Haas Brothers were beaten by the HWA Tag Champs, the Jablonskis. - HWA Cincinnati Show (August 28, '01) = The Haas Brothers took down Mike Sanders & Reno. 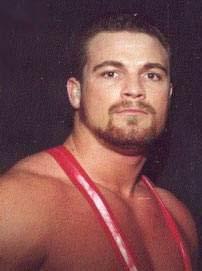 - HWA Covington Show (August 30, '01) = The Haas Brothers & the Big Show won over Mark Jindrak, Mike Sanders, & Kanyon.